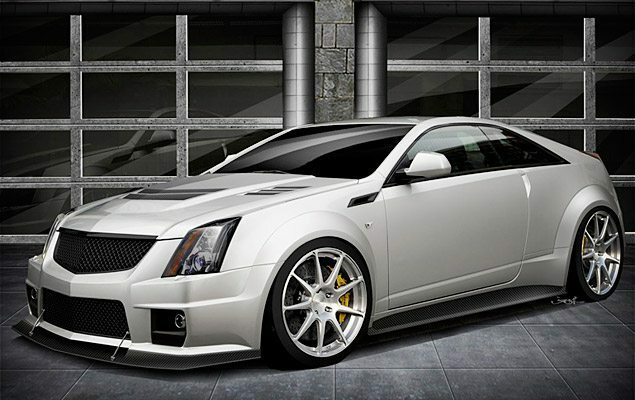 550+ hp from the standard Cadillac CTS-V Coupe not quite cutting it? Well, if you’ve got deep pockets and plenty of fresh underpants the Hennessey V1000 Twin-Turbo ($TBA) is just for you. The beast boasts an insane 1,000 hp thanks to its 427ci LS V8 engine that’s paired with twin turbochargers, an air-to-air intercooler, a high-flow K&N air filter, and upgraded fuel systems. All those goodies add up to a machine capable of a 0-60 time of 3.5 seconds and a top speed of 230 mph. Other features include 15.1 inch carbon ceramic Brembo brakes, 20-inch Hennessey Monoblock wheels, a lowered suspension, new carbon fiber bodywork, and limited edition, individually-numbered placards on the dash and engine – there’s only 12 available.